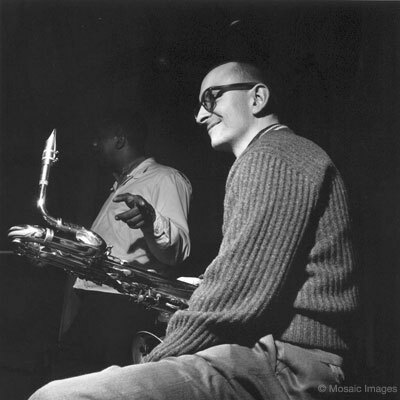 Here’s a transcription of Pepper Adams‘ baritone sax solo on “Each Time I Think Of You” by Duke Pearson and Donald Byrd. It was recorded at Donald Byrd’s session in May of 1961 for the Blue Note album, “The Cat Walk.” It’s a high energy, happy tune and Pepper sounds like he’s enjoying the changes. Note that he takes two choruses while the other soloists each take one. There’s lots to enjoy here. Pepper’s improvised lines flow effortlessly through the shifting tonalities of the tune, and his time and rhythmic momentum are SO strong. There is continuity, connectedness, yet also space to breathe (a difficult balance on the baritone sax). I hope you enjoy playing along with Pepper’s solo as much as I do. For a link to a recording of the full performance and a lead sheet for the tune, go here. This entry was posted in baritone saxophone, solo transcription and tagged Donald Byrd, Duke Pearson, Pepper Adams on July 23, 2015 by jaybrandford.